Gentleman thief and cricketer A.J. 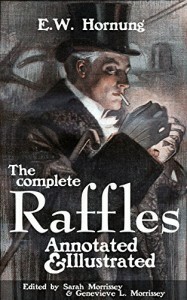 Raffles strikes up a criminal partnership with a down-and-out gentleman, Bunny Manders, who faithfully Watsons his criminal Holmes. Together they rob the rich and give to themselves, until it all comes crashing down. Written back before detective fiction and crime adventure hadn't parted ways, these stories are part adventure, part puzzle, with either dominating depending on the story. The emotional thread that runs through them is the precariousness of Raffles and Bunny's situation - every new risk means risk of exposure, but taking the risk in the first place is what sustains their illusion of respectability, i.e. wealth. As the chronology progresses, Bunny goes from agonies of guilt to stoic acceptance of his own criminality, and finally to grief that goes beyond the question of right and wrong. In the end, what began as morally grey adventure series becomes a love story between a charismatic, corrupt man and a weak, corruptible one. In this edition, Sarah and Genevieve Morrissey provide a whopping 1,052 footnotes which give context to Raffles' world, pinpoint his references, expand on the setting, and contextualize the characters' words and actions. And, full disclosure, I copy-edited the notes myself. I promise I'm not getting a cut; I'm talking this up because I actually believe it's a great resource. 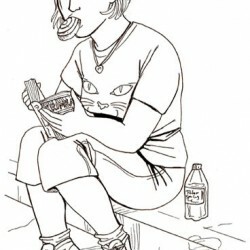 They also include dozens of illustrations that appeared in the original magazines. There is a wealth of work and research here that's born out of genuine love of the stories and desire to understand the culture in which they were produced. If it wasn't for the enormous and wonderful work of the Morrisseys, I would not give the work a full five stars, because as can be expected, the usual warnings for racism (Mr. Justice Raffles is particularly antisemitic) and classism apply to this as any other late Victorian English fiction. The emotional core, however, especially the sense of impending loss that is wholly deserved, gives these stories a unique and exciting flavour. It's why I'm a fan.